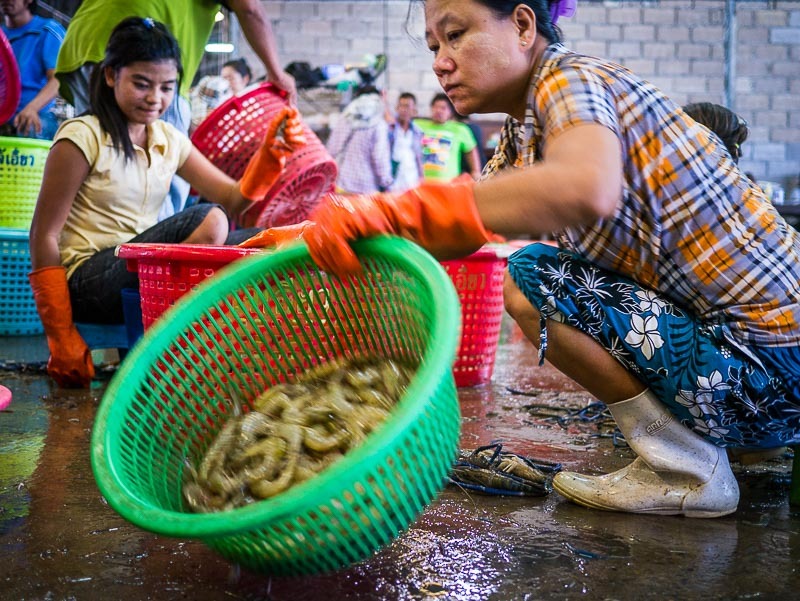 Burmese workers in a shrimp processing shed in Mahachai. Thai labor practices are in the news. Again. 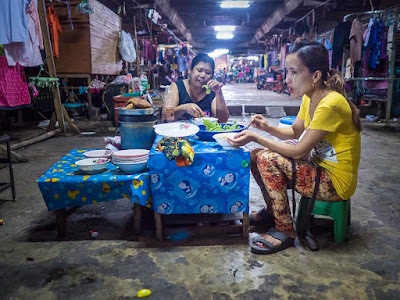 An AP report published this week alleges that many workers in Thailand's shrimp industry, in the shrimp processing sheds that line the streets of Mahachai (also known as Samut Sakhon), work in slavery like conditions. This comes after reports of slaves held in the Thai seafood industry, the panicked repatriation of Cambodian migrants in Thailand, the abuse of workers in the poultry industry, and now it's the shrimp industry (again, since shrimpers were implicated in the reports of slaves in the seafood industry two years ago). 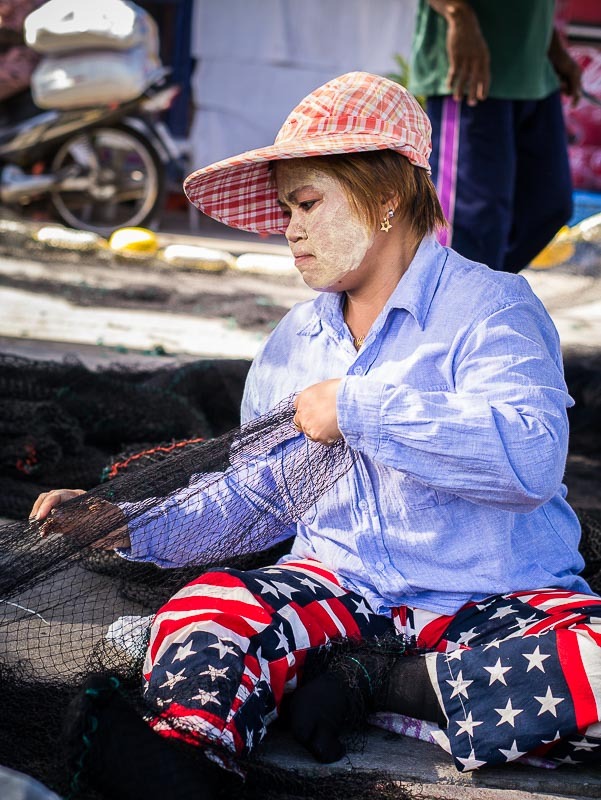 A Burmese woman patches fishing nets on the docks in Mahachai. None of this is news to me. 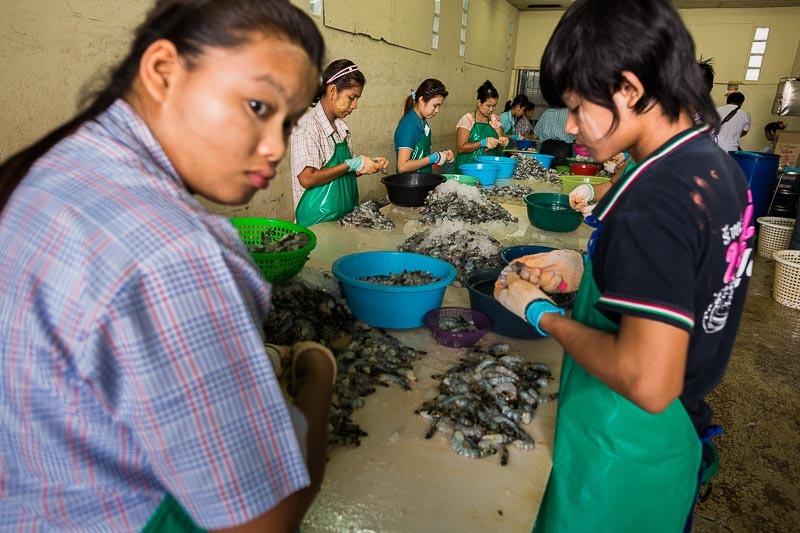 I've been photographing workers in the shrimp and seafood industries in Mahachai for five years. 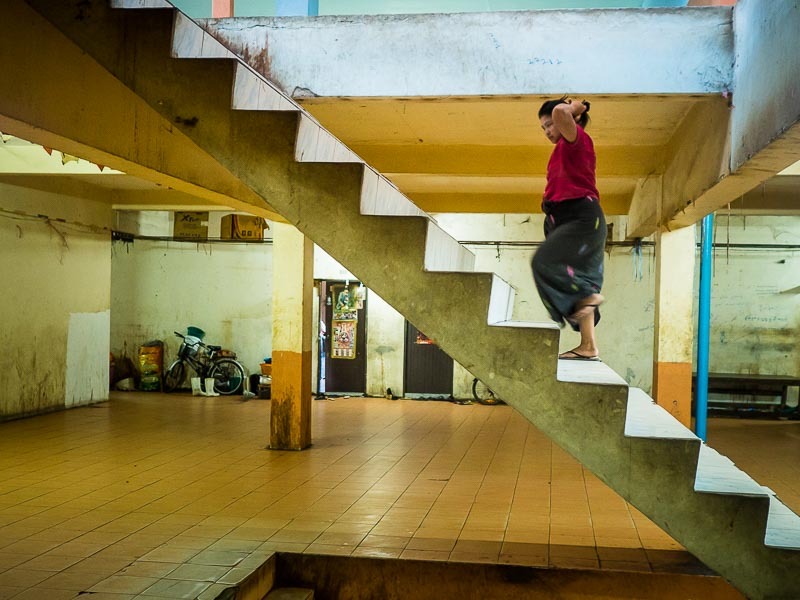 I've been in workers' apartments and schools and photographed in the shrimp peeling sheds. A common space in a tenement building for Burmese migrants in Mahachai. The ground floor of the tenements is used for small shops and food stands. Conditions for migrant workers are deplorable. They live in crowded, crumbling tenements. Some are above the shrimp processing shops, others across the street from the sheds. Burmese workers peel shrimp in Mahachai. There are a couple of issues that need to be addressed though. We (in the first world "west") have become addicted to cheap "stuff" whether it's food, clothes or housing. Increasingly, we rely on migrant workers from the south to provide those things for us. Drive around any housing construction development in the American Southwest and almost all of the workers are Latin American immigrants. I photographed farmworkers in the US, and their circumstances are just as difficult as the circumstances of seafood workers in Thailand. I am not defending Thai labor practices. 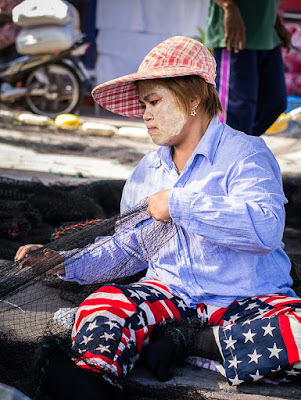 Thai officials and corporations should be doing more to protect workers, but these issues are by no means unique to Thailand. Before Thailand found itself in the news for labor issues, the media was focused on garment workers in Bangladesh and Cambodia. Workers were held in slavery like conditions making clothes for American and European consumers. In April, 2013, more than 1,000 people were killed when the Rana Plaza collapsed. Suddenly the media was focused on the plight of textile workers. Now it's Thailand's turn to face the harsh glare of the media spotlight. But is the abuse of workers really the fault of Bangladeshi or Thai authorities? Or is it the fault of western consumers who demand a steady supply of cheap clothes and food without questioning the origin of those things?